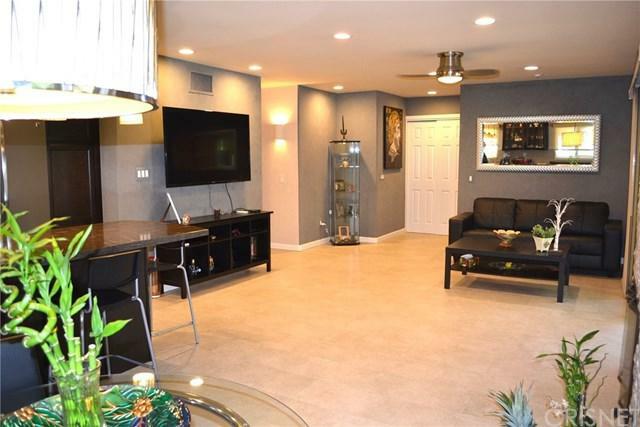 ENJOY THIS * FULLY FURNISHED * STUNNING, COMPLETELY UPDATED END UNIT PROFESSIONALLY REMODELED FROM THE TOP DOWN! *DETAILS, DETAILS, DETAILS* OPEN FLOOR PLAN 3 BEDROOM 2 FULL BATHS, KITCHEN WITH BRAND NEW GE STAINLESS STEEL APPLIANCES, DUAL PANE WINDOWS AND SLIDERS, NEWER CENTRAL AC AND HEATING, TILE FLOOR, ALL BATHS WITH KOHLER NICKEL FIXTURES,BEAUTIFUL AUSTRIAN VANITY WITH KOHLER VESSEL SINK,WASHER AND DRYER IN UNIT, LIVING ROOM OPEN TO PERFECT BEAUTIFUL PRIVATE PATIOS. BOTH LIVING AREA AND DINING ROOM FACE BEAUTIFUL PRIVATE & SERENE PATIO SPACE. THE COMMUNITY IS LOCATED IN THE AWARD WINNING LAS VIRGENES SCHOOL DISTRICT NEAR SHOPPING CENTER AND RESTAURANTS. SO MUCH MORE TO SEE. Sold by David Lister of Wall Street Realty.